This individual lives on the West Coast, so it’s difficult to determine whether he’s ever set foot in the “Deep South.” I also understand that as a relatively tall, fit white guy, I may have an easier time than a black man or woman in the South. Still many blacks I speak with in the South – but by no means all – say that while issues certainly remain related to racism, they’re not specific to the South. But unfortunately many of the South’s biggest detractors appear to have little to no actual experience with the South of today. It is certainly not perfect, but it’s vastly different from what it was 50 years ago, and it is a far friendly place, at least in my own experience, than New England, New York, much of the West Coast and the major Midwestern cities. My experience has been largely the opposite: Whether on the West Coast, or the East Coast north of Richmond, no one will so much look at you when you pass them on the street, never mind say hello. Down South it’s unusual if you don’t wave when passing someone on a country road, whether you know them or not. I can’t imagine standing to cross a street with someone in a Southern town and not saying hello and asking how they were doing, or vice versa. And anyone who knows me will tell you I am an introvert’s introvert. While I may be a hermit in the making, my mother didn’t raise me to be rude. When I talk with strangers it’s not out of simple duty; I do have a genuine wish that their day goes well. So why does a significant percentage of those outside the South feel white males in Dixie are a bunch of ignorant knuckle-draggers who keep white sheets and hoods in our closets? 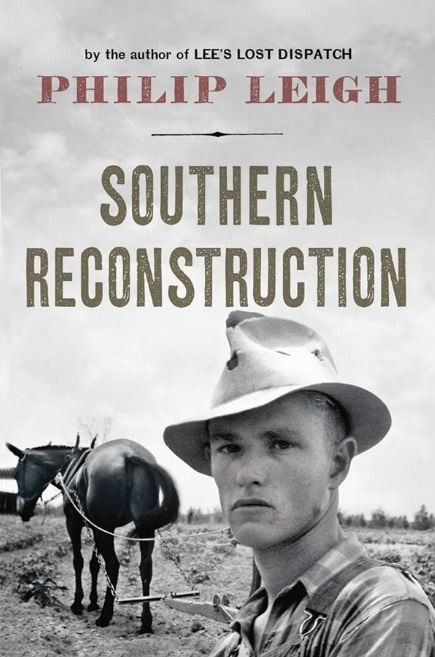 A recently released book by Philip Leigh called Southern Reconstruction concludes that no small part of the problem is the result of Reconstruction, the period following the War Between the States. However, Leigh doesn’t limit the term “reconstruction” to the 1865-1877 period that is generally used to designate the post-war era but expands it to include the decades afterward, when the former Confederate states lagged far behind most of the rest of the nation, stricken with higher rates of poverty, lower lifespans, poorer diets and reduced access to health care. Leigh’s superb work points out that many of today’s mainstream historians focus solely on white racism in the South as the reason for Reconstruction’s failure, and that Reconstruction’s failure greatly aided the spread of white Southern racism. Yet, as progressives like to point out, hate is a learned behavior. In other words, the racism that blacks experienced during Reconstruction and Jim Crow didn’t materialize out of nowhere – and it was different from that which existed during slavery. There was a root cause, and like many root causes, it was financial. “The harmful effects of Reconstruction were more substantial, multiracial, and protracted than commonly understood, with poverty being among the most devastating,” Leigh writes. Unfortunately, post-Civil War Republicans were more interested in holding and building on political gains than actual advocating for black civil rights. Even though blacks represented less than 2 percent of the population in the Northern states, compared to 40 percent in the Confederate states, most white Northerners wanted blacks concentrated in the South. Some white Northerners were concerned with increased competition for jobs if freed slaves moved North, while others likely were motivated by a dislike for people different from themselves, much as they disliked foreigners just off the boat from Europe or Asia. Lincoln’s Treasury Secretary, Salmon Chase, thought emancipation would motivate Northern blacks to move to the South. In 1862, when blacks comprised less than 1 percent of the Illinois population, the state’s soldiers voted 3 to 1 to deny the blacks the right to vote, and Massachusetts and Illinois each refused to resettle contrabands (slaves behind Union lines) in their states during the war, according to Leigh. Reconstruction was probably doomed to failure given the corruption that took place immediately following the war. Budgets in Southern states mushroomed, even if residents rarely got anywhere near their money’s worth as politicos, some Northerners who’d moved South after the war and others opportunists from the region, lined their pockets in many states. Once the states were “redeemed,” a term which meant that Democrats effectively ousted Republicans for control, often by dubious means, the first goal of the new administration was to reduce the cost of operating state government, Leigh said, adding that segregation and disfranchisement of blacks didn’t begin to pick up steam until Populists were elected in the 1890s. 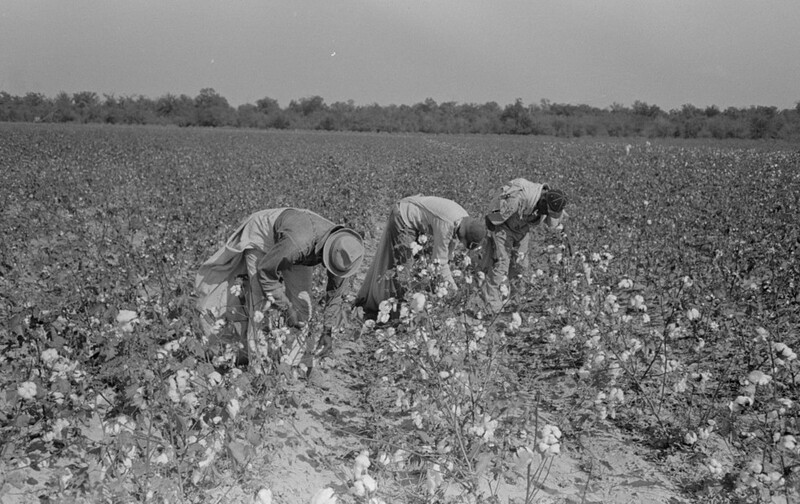 Leigh writes that white Southerners resented the financial burden associated with educating ex-slaves. Given that abolition was a national policy, many felt that the federal government should at least partly assist with the effort. Southern states were already poor to begin with and ultimately slashed education spending for both races. There was certainly unequal treatment before the law and a general animus toward blacks in the South, particularly in the late 19th century and early 20th century. But Leigh argues that efforts to raise the South were hindered by the economic serfdom it was held in by northeastern economic interests. He cites as an example the artificially high costs imposed on Southern steel by Andrew Carnegie. Carnegie, who created the U.S. Steel monopoly, recognized that the South, specifically the steel industry around the Birmingham, Ala., area, represented the biggest threat to his Pennsylvania operation. By 1895, he had bought up the major Southern steel mills and imposed discriminatory pricing on Southern production. By the time the Federal Trade Commission got around to investigating the matter, during Woodrow Wilson’s presidency, it was discovered that Birmingham’s steel costs were the lowest in the country and 26 percent below those of Pittsburgh. For 80 years, the South suffered from burdensome tariffs and monopolistic rate charges, costs that kept wages down, stymied progress and contributed greatly to the poverty that helped create dissention between races. But Reconstruction and the decades that followed it remain little understood among much of the population. In secondary schools, if it’s taught at all, it’s narrowly defined as a period when Southern whites sought to not only disfranchise blacks, but essentially place them back in the fetters of slavery. White Southerners weren’t blameless but there was plenty of criticism to be leveled at others, as well. As our nation currently tangles with the ghosts of the past, perhaps we would do well to seek out the reasons why the South has struggled economically and educationally for much of the past 150 years. The reason, as Phil Leigh demonstrates clearly in Southern Reconstruction, isn’t simply that Southern whites didn’t like Southern blacks. History is rarely that evident. And newspapers wonder why an increasing number of readers (and former readers) view them with incredulity. 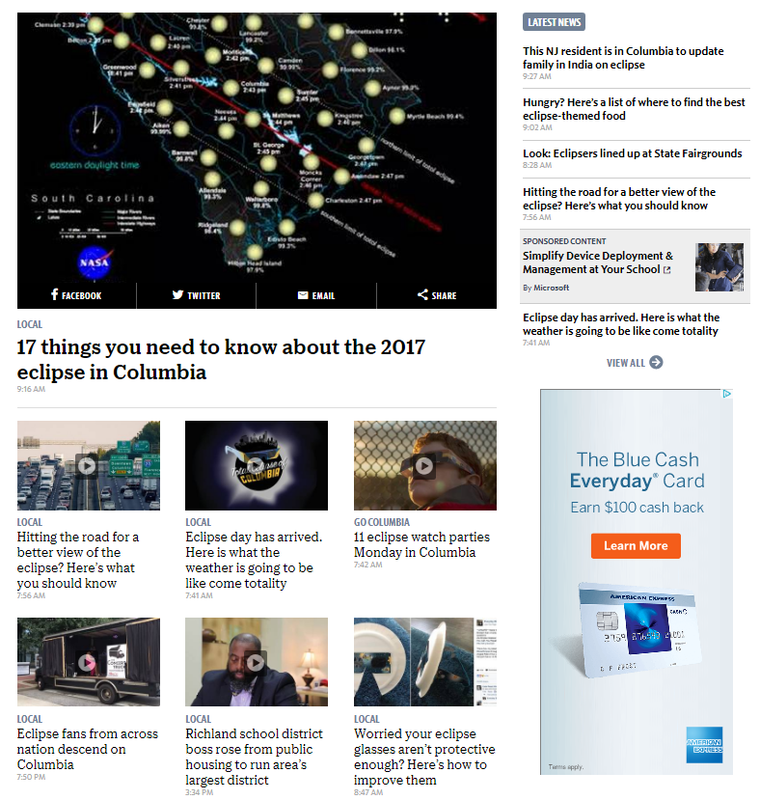 Eleven of the top 12 stories in the online version of my local paper are eclipse related, the astronomical event that area media has been hyping for months. Everything from improving your eclipse glasses to a list of where to find the best eclipse-related food. A complete solar eclipse is impressive, but this seems over the top. One might even get the impression that not much else was going on elsewhere in the state, nation or world. Kind of how ancient people used to react when they thought an eclipse presaged the world’s end, but with a more mindless twist. Aggrieved demonstrators, while not done training their sites on all things Confederate, converged on a bust of Christopher Columbus in Detroit and demanded the monument come down as they protest against white supremacy and the nation continues to be roiled by racial tension. But here, local ink-stained wretches gleefully slap story after story about the eclipse on page 1 and the Internet, eager first and foremost to sell as many papers as possible. Informing readers is somewhere further down the line of priorities. The outsider tends to think of San Francisco as irreligious city. Cable cars, the Golden Gate Bridge and LGBT pioneers are among things so-called “Baghdad by the Bay” is easily recognized for, but San Francisco has an array of beautiful structures, including many houses of worship such as Grace Cathedral, Sherith Israel synagogue, Saint Ignatius Church, Saints Peter and Paul Church and Mission Dolores, the oldest surviving structure in the city, dating to 1776. Other noteworthy houses of worship are less well known. Take Saint Francis Lutheran Church, the only Lutheran church in the world to be named for the Italian (Catholic) saint. Located on Church Street, near the intersection of Market Street in the Castro District, Saint Francis Lutheran dates back to just before the devastating 1906 Earthquake. By the time of the disaster, the main floor meeting hall had been completed and was in use, but the sanctuary above was still unfinished. The earthquake damaged the sanctuary, but the main floor was left intact and was used by the Red Cross as a hospital and shelter for the injured and homeless. The red-brick church was constructed in a Danish-Gothic style, modified in the Nordic tradition, according to NoeHill in San Francisco, a website dedicated to San Francisco historical sites. It possesses a wooden steeple and features a stone foundation and steps. In the sanctuary are copies of two masterpieces by Danish sculptor Berte Thorvaldsen (1770-1844). San Francisco, like much of California, received a wide array of immigrants from many parts of the world following the 1849 Gold Rush. Danish immigration to California began in the San Joaquin Valley and gradually moved to Fresno and then north to the Bay Area and San Francisco. 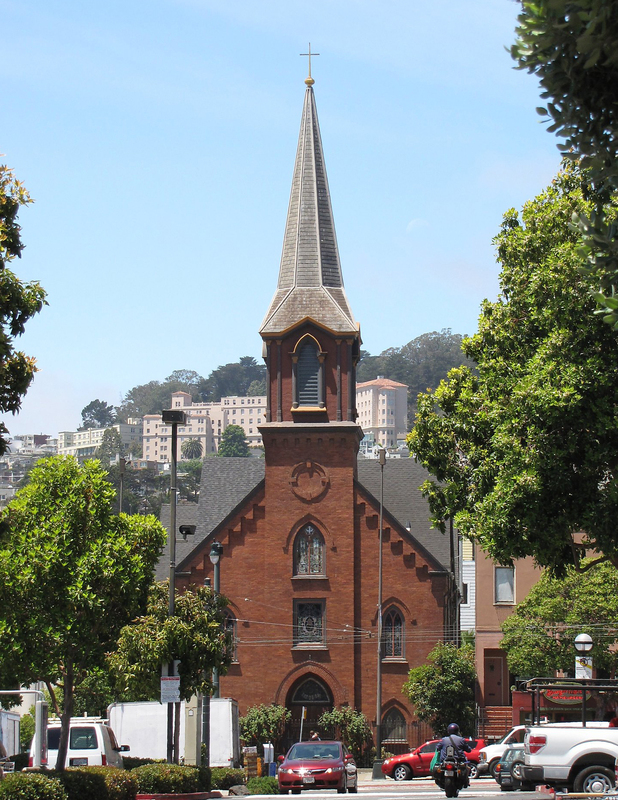 For many years, religious services in San Francisco were performed by Lutheran clergy dispatched more than 180 miles from Fresno, according to NoeHill in San Francisco. Around 1900, when the Danish community in San Francisco had reached a size to warrant its own church, the community wrote to Queen Louise of Denmark asking for financial assistance. The monarch sent a gift of 500 Kroner, which formed the basis of the building fund. At the beginning of the 20th century, the area around the church was populated mainly by Scandinavians and Germans. For many years, the neighborhood supported five Lutheran churches, each holding services in a different language: Norwegian, Danish, Swedish, Finnish and German. Over the years, as English became the common tongue the various Lutheran congregations merged. In 1964, a Danish and Finnish congregation merged and named the new congregation in honor of San Francisco’s patron saint, Saint Francis.